Luis Moreno and Mando Ortiz staged a classic in the first Men’s Small Ball Singles semifinal of the evening, as the pair exchanged leads throughout each game for nearly 90 minutes. The junior and pro rivals mirrored one another’s games, with both possessing dominating two-handed power and the ability to retrieve nearly every shot hit. Moreno led 6-2 in game one before Ortiz rallied, scoring six straight points to take an 8-6 lead. Moreno regrouped, using his speed and shot making to regain control of the first game. Moreno clinched game one and appeared to be on the verge of a two-game sweep, leading 10-9 in game two. Ortiz caught fire, scoring three straight points to force a tiebreaker. Moreno reached match point at 11-6 in the third game, but just as his quarterfinal opponent had done the previous night, Ortiz scored four straight points following a Moreno error. Ortiz’s rally was halted at 10, as Moreno advanced in his second consecutive 12-10 tiebreaker. 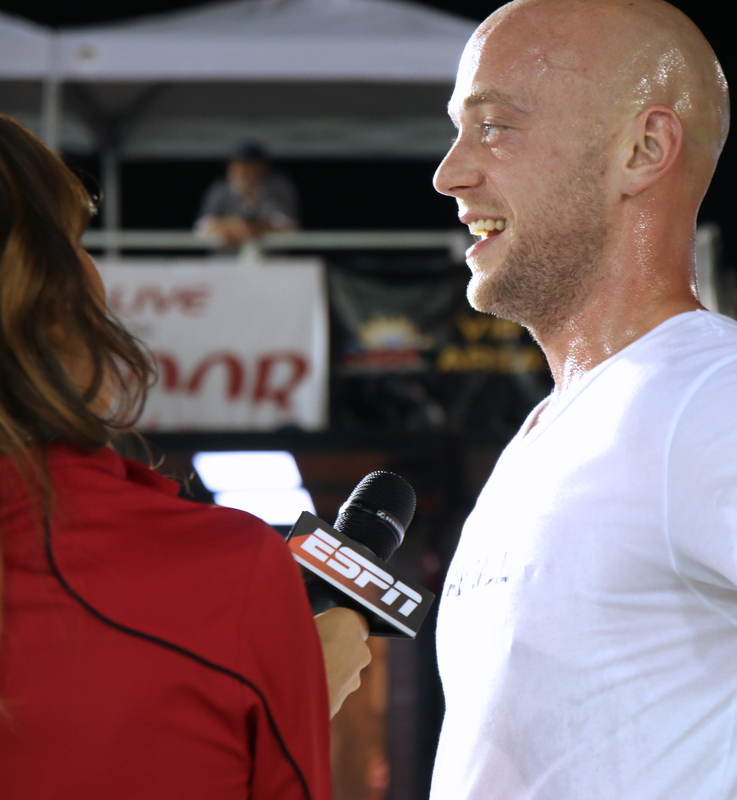 Sean Lenning aimed to continue his incredible indoor and outdoor 2015 season in the second semifinal of the evening. 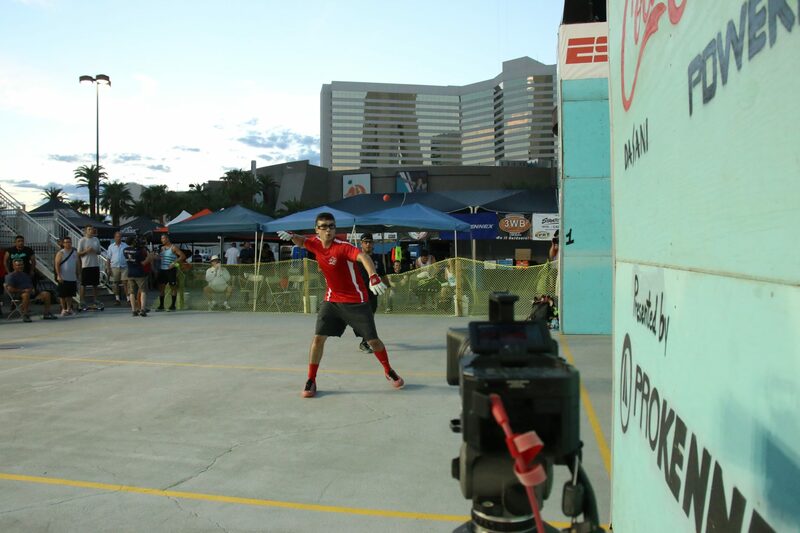 Lenning used his two-way hop serve to keep David Fink off-balance in the two-game sweep, needing just eight minutes to clinch game one, and scoring 12 of the final 14 points of the second game after falling behind 5-0. 1-Wall and 3-Wall Big Ball Men’s and Women’s singles and doubles kicked off on Friday, with the top seeds in each bracket advancing to the weekend. Saturday’s full slate of big ball action will include all of the big ball’s great superstars, including Tracy Davis, Tanisha Groomes, Timbo Gonzalez, Juan Santos, Samzon Hernandez, Kadeem Bush, Rudy Cruz, Sal Duenas and many more. Huge thanks to WPH Volunteers Steve Soto, Tanner Cleveland, Tom Flores and Betty Fabian for helping to run the tournament all morning, afternoon, and evening. It’s a thankless job but without them we would not be able to play in this amazing event. Thank you! 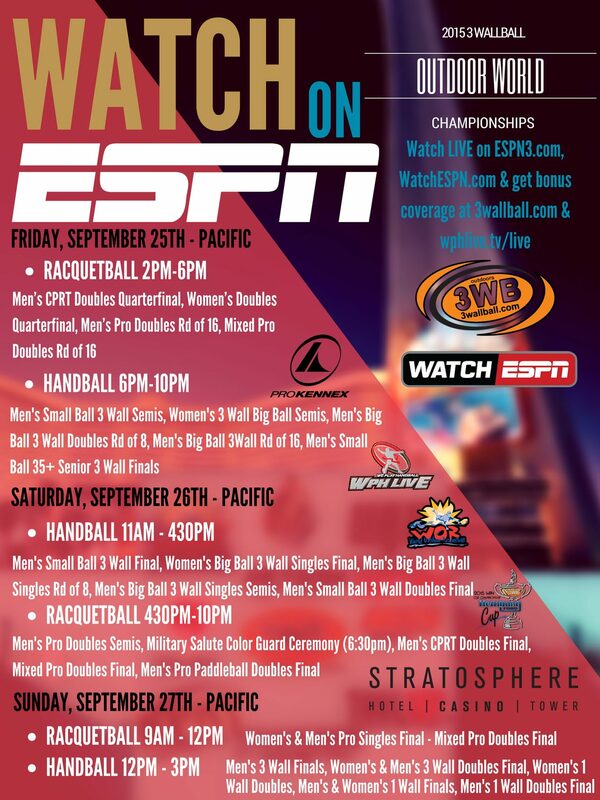 To watch live big ball and small ball play from the Stratosphere on Sunday, tune into the Watch ESPN App (here). 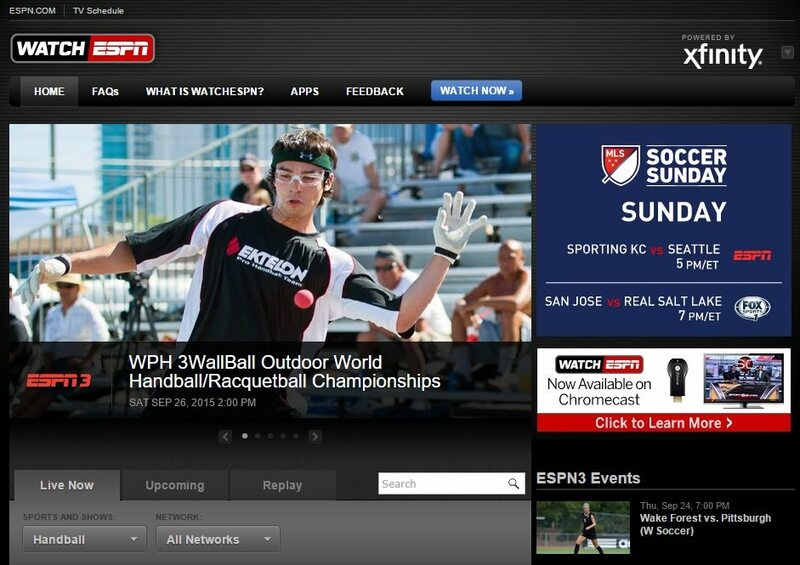 To follow all of the scores and draws from Vegas, click here. 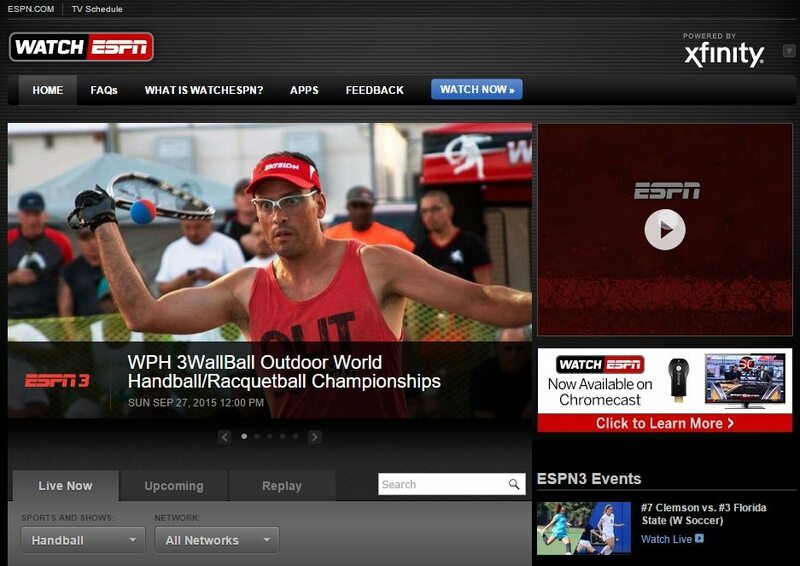 To follow all of the updates from Vegas and in the world of handball, go to wphlive.tv. 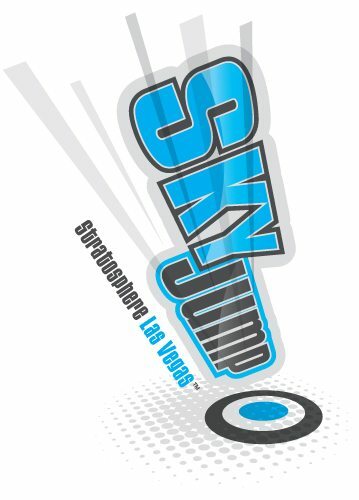 The conclusion of the Hemborg Ford Outdoor Cup Series brings it’s prestigious trophy to the City of Las Vegas, Nevada, this weekend for the ProKennex 3WallBall Outdoor World Championships, hosted by the Stratosphere Hotel Casino Tower (Sept 23rd-27th, 2015). Meanwhile, players in Paddleball, Handball & Racquetball on converge to the strip; vying for points, trophies, bragging rights and hefty cash prize purses.